Inventory We are a resale marketplace, not a box office or venue. Ticket prices may exceed face value. This site is not owned by Xfinity Arena . 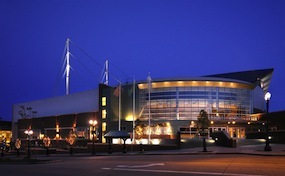 The Xfinity Arena, formerly Comcast Arena, located in Everett, Washington has long been a jewel of the Pacific Northwest. The Xfinity Arena is nestled 25 miles North of Seattle, Washington. Having hosted some of the greatest acts to tour the country the Xfinity Arena is a perennial stop for the nations biggest concerts. Some of the more notable acts that have played here are Def Leppard, Il Divo, Maroon 5, Fergie, Neil Young, and Carrie Underwood. Tickets for the Xfinity Arena can be a hot commodity and tend to sell out quickly. In recent years, the facility has become home to the Washington Stealth Lacrosse team to keep up with rising popularity for the sport. The center is also a popular spot for youth hockey leagues and recreational teams to play. Even youth hockey games have been known to turn a crowd at this arena. The Xfinity.ArenaEverett.com is not a primary vendor, supplier, or affiliated with any official website. We proudly provide access to a wide supply of inventory to secondary market events. Ticket prices may be well below or above face value and will fluctuate with the market. To purchase tickets for all Xfinity Arena Everett events simply click on the show of interest or call our operators at anytime.